Living in Europe, we can easily visit such a wide variety of countries. It’s relatively quick and easy to hop on a plane or train and be somewhere else in a couple of hours, making Europe ideal for a weekend city break. I’m a huge lover of exploring, sampling the local cuisine, and shopping during city breaks, so here are five of my favorite destinations for a European city break. I visited Rome in January, when it jumped to the top on my list of favorite cities. Around every corner, there is something amazing to see, including the iconic Colosseum, the Pantheon, and hundreds more buildings and statues that you’ve probably passed over in your guidebook. It’s best to visit Rome outside of the summer season, as it’s usually teeming with tourists. Don’t miss: A glass of prosecco at the top of the Spanish Steps. OK, so I only live a couple of hours north of the UK’s capital city, and I’m there at least once a month for work and other events, but there’s just so much to do in London that you can never see it all! My top tip is to take in the great views over the city from one of the major landmarks, such as the London Eye, The Shard or the Sky Garden at the Walkie Talkie building. It’s even better at night! Find out more about what I love about London here. Don’t miss: Brunch in London’s coolest neighborhood, Shoreditch. Anyone for smashed avocado? I adore Paris. I just feel so sophisticated exploring this city, even when it’s pouring with rain (which it was last time I visited!). I love sitting at the little cafés throughout Paris and sipping on champagne, because it’s only slightly more expensive than wine here. Paris is also really easy to get to from the UK, as you can take a plane or the Eurostar from London St. Pancras station. That means you can grab a one-day guide to Paris and enjoy a much-needed city break. 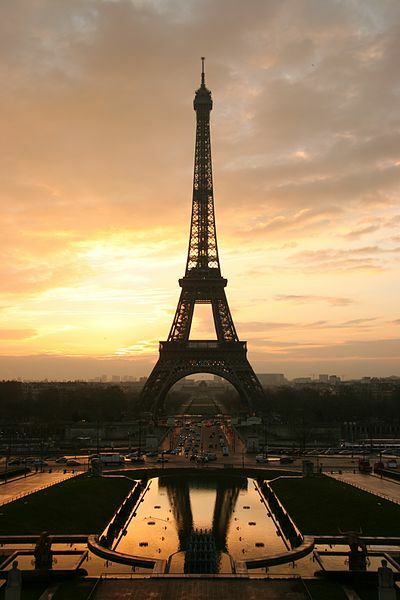 Don’t miss: The Eiffel Tower, of course! It’s relatively cheap to get to the top, and you can see the whole city from here. Can you tell I’ve got a thing for views?! There’s way more to Amsterdam than coffee shops and the red light district. It’s actually a really nice and budget-friendly city break destination. Explore the city by bike like the locals or walk the canal ways. There’s plenty to see on your way. I visited Amsterdam on a mini cruise, which meant I only spent a day there. It left me wanting more! Don’t miss: The Anne Frank Museum. Book before you get there, as the queues can be horrendous. I haven’t visited Barcelona for a while, and I’d love to go back before too long. This is the classic mix of city and beach break, so if the weather’s good, you can alternate between exploring and topping up your tan. Wander down La Rambla and marvel at the street performers before treating yourself to a tapas lunch. Don’t miss: The Barcelona Magic Fountain, which features dancing fountains with light and music. Next on my city break list is pretty much everywhere. Included on my list are Venice, Lisbon Copenhagen, Oslo, and Stockholm.